Canon announced three new compact digital cameras today, including the 14-megapixel Canon PowerShot SX150 IS, part of their “SX” line of full-featured superzoom cameras. 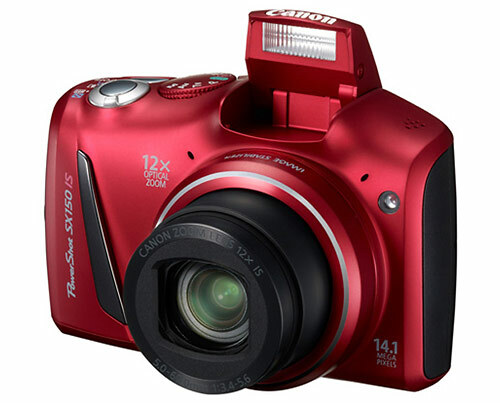 The PowerShot SX150 IS has a 12x 28-336mm zoom lens, 720p HD video, a 3-inch LCD display and manual shooting modes as well as Smart Auto. Canon also included Intelligent IS, a new image stabilization feature that evaluates conditions and chooses one of six IS modes (Normal, Macro, Panning Dynamic, Powered and Tripod) to ensure best results no matter what kind of subject you’re shooting. The Canon PowerShot SX150 IS will be a great camera choice for families, small businesses or beginning photographers who want to do more than just take snapshots. The 12x zoom range means you can shoot almost any subject, from portraits, to wildlife. The shooting modes include full manual exposure, aperture priority, and shutter priority so learning photographers have plenty of exposure control to get creative and learn more about photography. 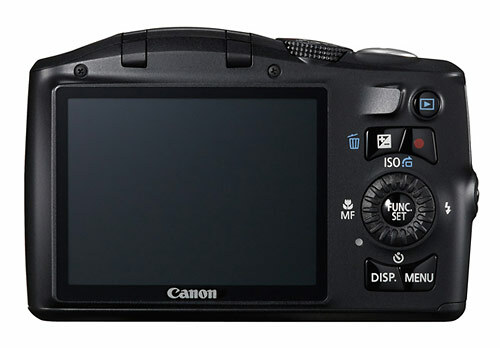 And if you’re a straight-up point-and-shoot photographer, the Smart Auto will keep things simple. There’s also a Discrete Mode the silences the camera and turns off the flash – perfect for photos at weddings and museums or anywhere else you want to make sure you don’t disturb anyone. 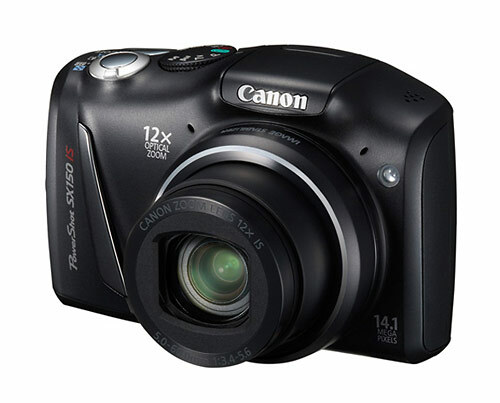 The new Cano PowerShot SX150 IS digital camera is scheduled to be available in September 2011. It comes in red or black and should sell for $249.99.